Kimberly Prince’s family had always owned horses. And when she started jumping at age 12, she was quickly hooked. By 16 Prince had moved away from her roots in Utah and set up camp on the east coast, eventually working for jumping legend Katie Monahan Prudent, riding some of the best horses around. Even college didn’t cure Prince’s addiction to the horse. Despite working for U.S. Equestrian Team member Mark Leone during her university years, Prince still pined for a full-time career with horses. Prince has gone on to rack up top ten finishes in prestigious competitions around the world, and been an integral part of American teams—including the 2005 Samsung Super League team that grabbed first place for the U.S.
Top horses may look great on the outside, but they face a number of challenges, from intense training and competition schedules to travel and high-grain diets. Prince works hard to make sure all the horses in her barn—including her current Grand Prix mount, Marlou—get everything they need to stay in their best condition. 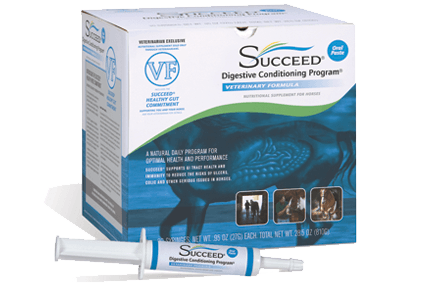 Prince was wintering and competing in Florida in early 2005 when she began to hear about a new product from Freedom Health, LLC, called SUCCEED® Digestive Conditioning Program®. Skeptical at first, Prince was attracted to the idea of a daily use product that could help support good digestive health for all of her horses—particularly those high-level mounts exposed to the rigors of a tough competition schedule. She started slowly at first, putting two horses on SUCCEED; she was almost immediately sold. 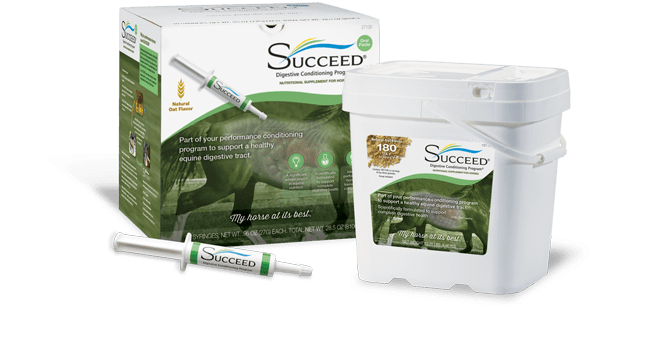 Prince now has her entire barn of horses on SUCCEED and she strongly encourages all of her customers to use the product as well. And while she definitely sees the value of SUCCEED for her competition horses, Prince said she would recommend SUCCEED for all horses, regardless of their use.